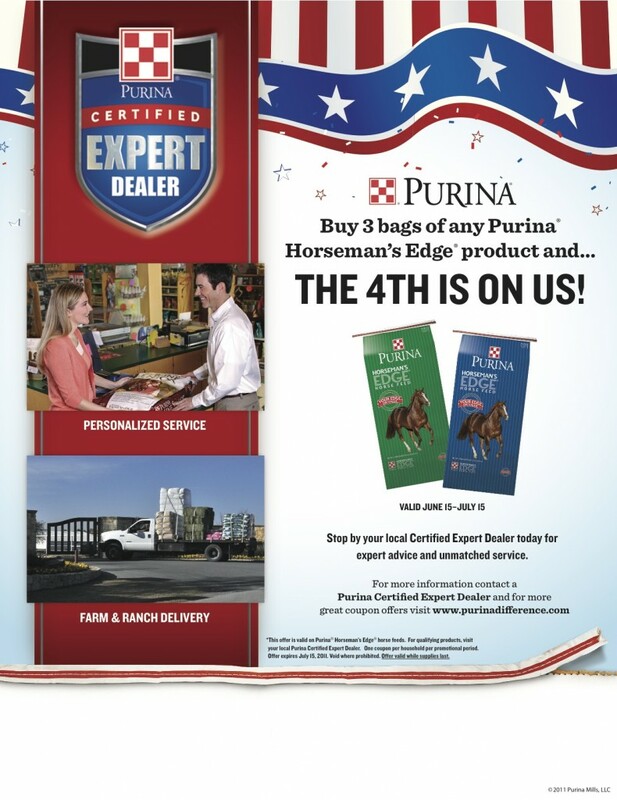 Stock up on any Purina Horseman’s Edge product between June 15 and July 15, 2011 with our “Buy 3 Get 1 FREE” promotion! This entry was posted on Monday, June 13th, 2011 at 8:34 pm	and is filed under Events, News & Updates. You can follow any responses to this entry through the RSS 2.0 feed. Both comments and pings are currently closed.